- Welcome to the hotel Orfeas! 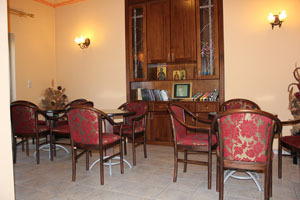 - Everything begins from the reception area. - Both the service and the kind behavior offered by our staff is our priority here. - Knowing your needs for information and communication, we offer you all the necessary amenities and luxuries not only in telecommunication equipment but also information for the whole area! 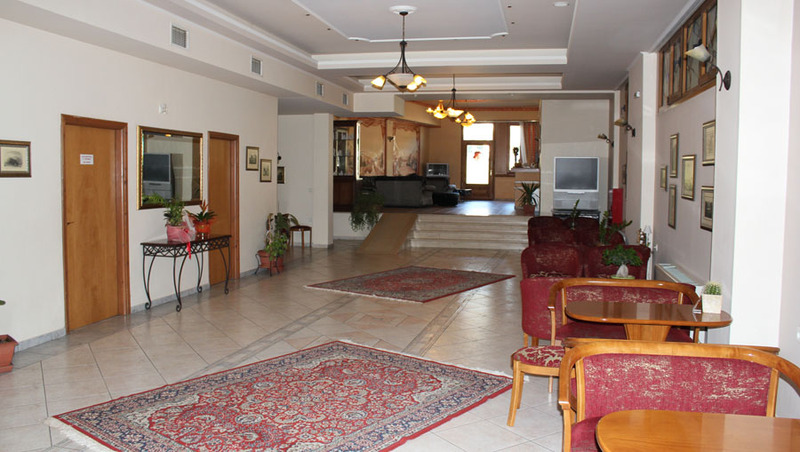 - With a warm and friendly smile, we welcome you to our places and we promise you a happy stay! 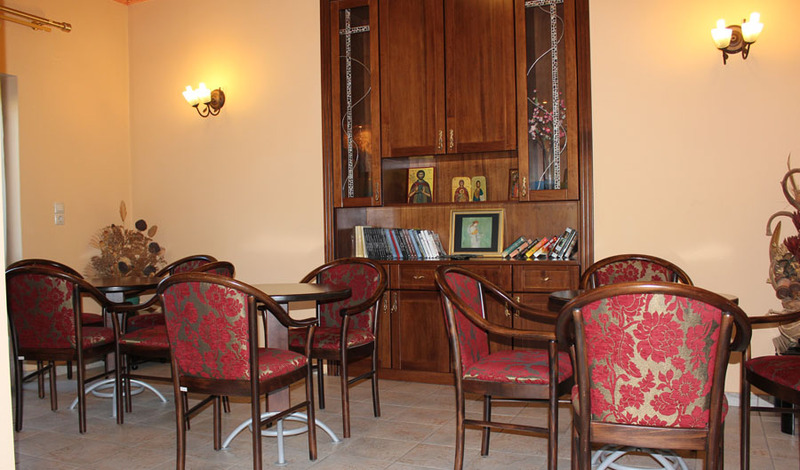 - The characteristic of the Greek culture is the need for relaxation! 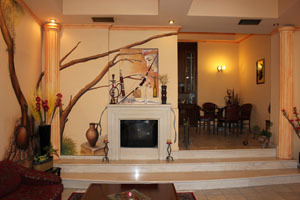 - So, relax in one of the elegant living rooms in our hotel! 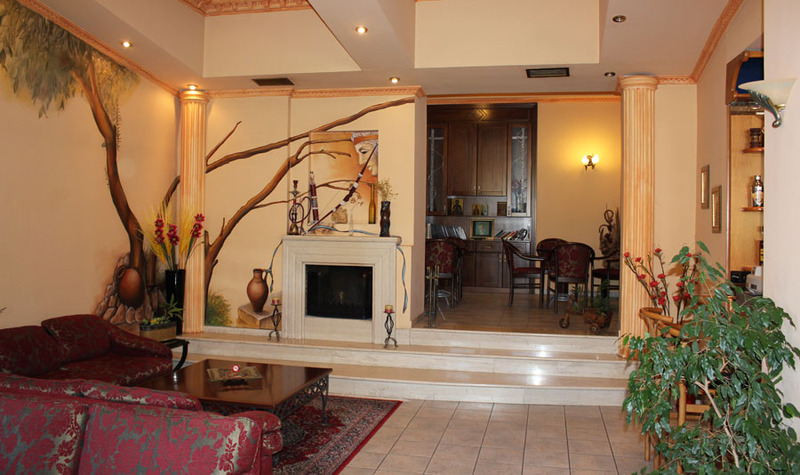 - For the winter months, the warmth of the fireplace will warm up the atmosphere! - In one of the one hundred luxurious guest rooms and the suite of our hotel, you can enjoy all the modern amenities of a hotel ... which promise you moments of relaxation, always with the high quality of service and the adequate services offered by the hotel Orfeas! 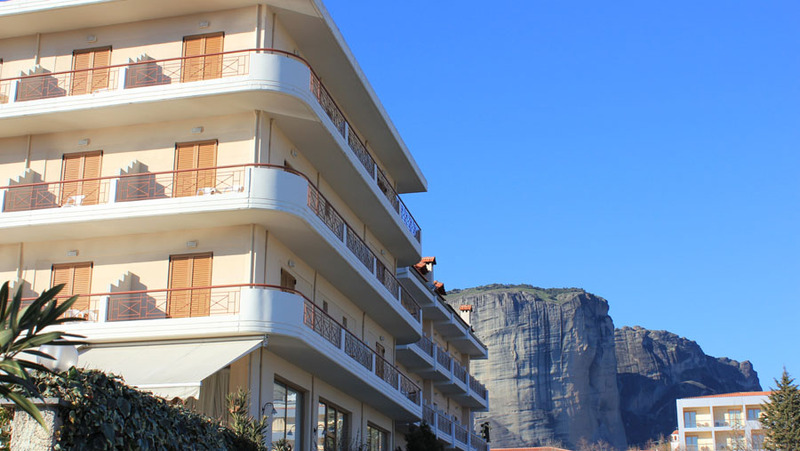 - Enjoy the sight from the balcony ... Meteora will impress you! 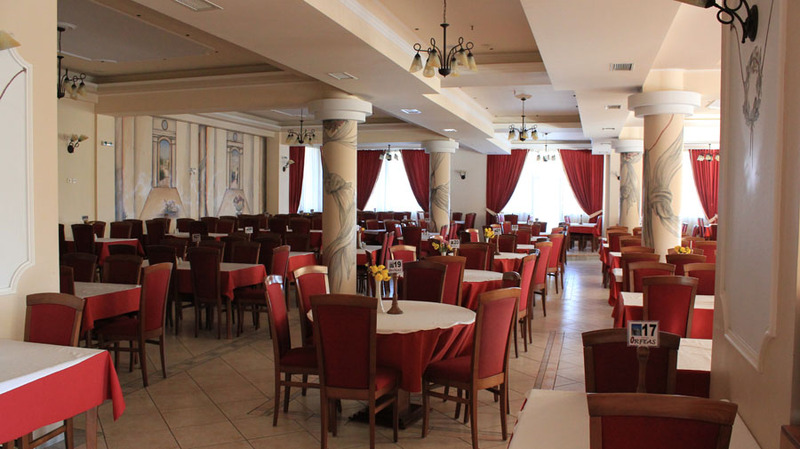 - Visiting our restaurant, you will be attracted by the tempting smells and the elegant place! - You will be captured by the delicious tastes, the politeness and the high quality of service offered by our staff! 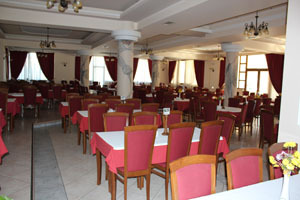 - Having the popular Greek cuisine and the selected tastes of the international gastronomy at your disposal! - Our cafeteria is waiting for you, always ready to please you with all the different coffees and a wide selection of drinks you prefer! 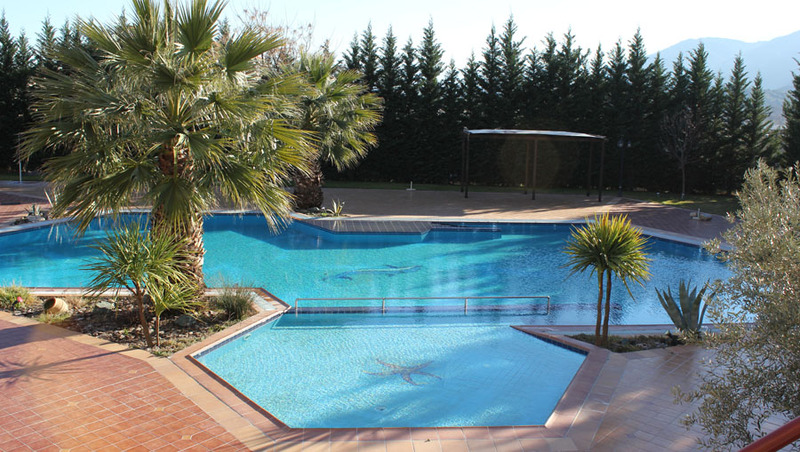 - Go for a walk to our magnificent swimming pool! - Enjoy the view, go to a swim, let your children swim and play in our children's pool and enjoy your juice or your cocktail from the pool-bar! - If your visit Kalampaka is for business reasons, hotel Orfeas will cover your needs providing a full conference room with a total capacity of two hundred people including all the modern technology and services! 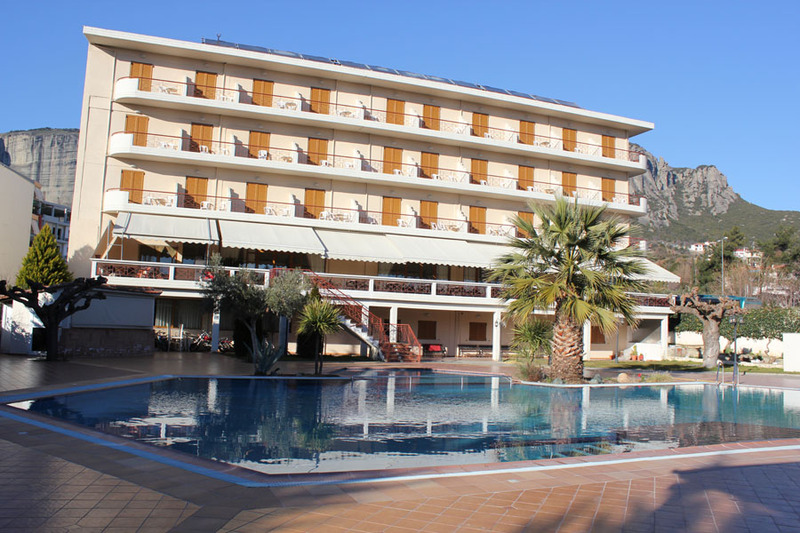 - Hotel Orfeas is a complete aspect of accommodation with all the modern amenities and luxuries, air-conditioned throughout, ample parking space and last but not least a friendly service! - Ancient hospitality ... today! !